Hackney Marsh, White House Bridge East Marsh. Lea Navigation canal. Hackney Marsh, White House Bridge looking towards the East Marsh.Lea Navigation canal. East London the site of the 2012 Olympic Games. 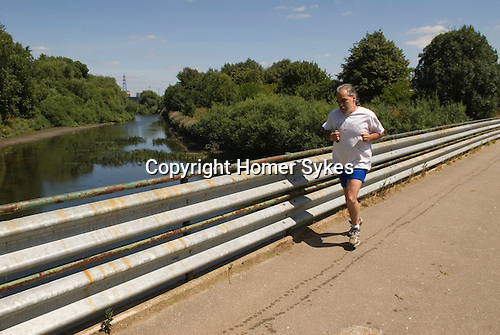 Hackney Marsh, Stratford, England 2006.